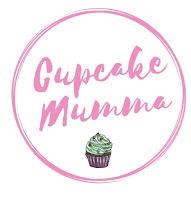 Cupcake Mumma: Our Wicked Auntie Does the Wicked Uncle Challenge! Our Wicked Auntie Does the Wicked Uncle Challenge! Buying gifts for my children is a real mix. There's Midge who is super easy with girly things, books, art and crafts, plus she's always into something in particular. A on the other hand I find a little trickier. He changes his mind a lot about which programs he's into. Some things stay constant like his cars but he can be a little hard to buy for if you want to go outside the box. It's a good thing Wicked Uncle got in touch then, because they seem to be rather good at 'outside the box' thinking. 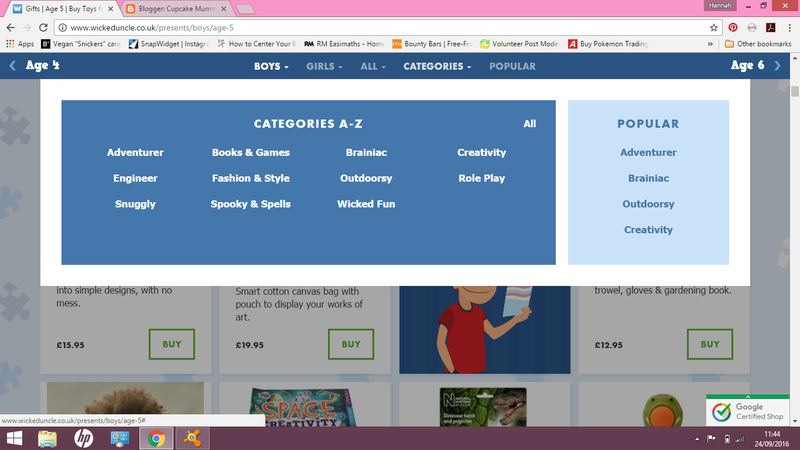 They asked if we had a wicked adult who might want to have a go at using their site to buy a couple of gifts for the Mini Cupcakes. I immediately thought if my sister, Auntie Tissy as she'ys affectionately known in this house thanks to Little A's mixed up speech (it's now habit rather than anything but so cute!) Auntie Issy was really up for the challenge and spent a weekend browsing the Wicked Uncle range of gifts. Using the online tools to select an age (you can also search by categories, by age and gender, one or both) my sister found a list of items suitable for a child of Midges age. 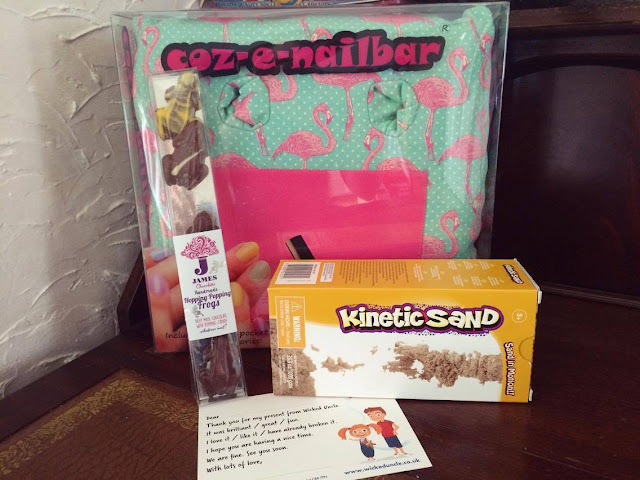 She spent a much longer time choosing for Little A because some of the products shown appeared to be a little young for him and he would probably lose interest quite quickly. 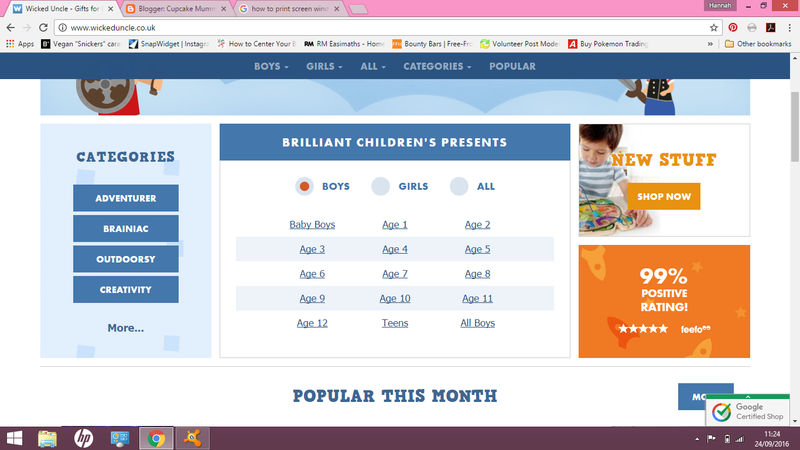 I think she looked in the age above (he is nearly 5 as it is) and came across a couple of gifts perfect for him too. Our Wicked Uncle parcel arrived within a few days all well packed (and not over packed with unnecessary bubble wrap and paper; hurrah!) Midge dived in and saw her gift first. 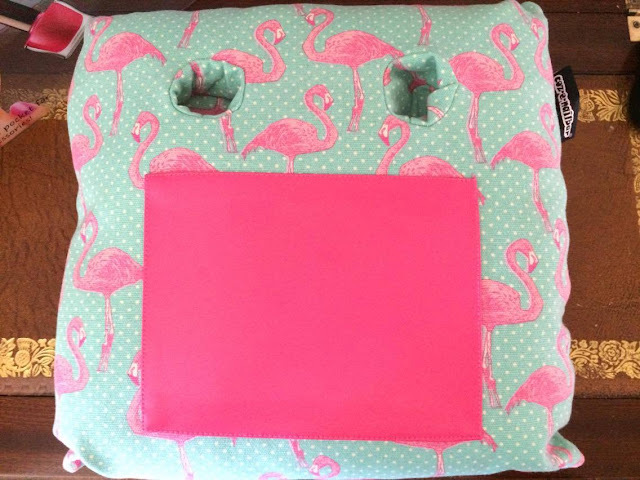 It's something neither of us have ever seen before, a nail bar pillow! I couldn't help but think how useful this will be because she has had nail varnish on the carpet, got it stuck to her desk and her desk chair is covered in it. This pillow has a wonderful flamingo design, a little pink wipe friendly patch for resting your hand on plus a pocket at the back for your nail essentials (files etc) and 2 little nail polish sized pockets to prevent those rather messy knocked over polish incidents! She loves it! 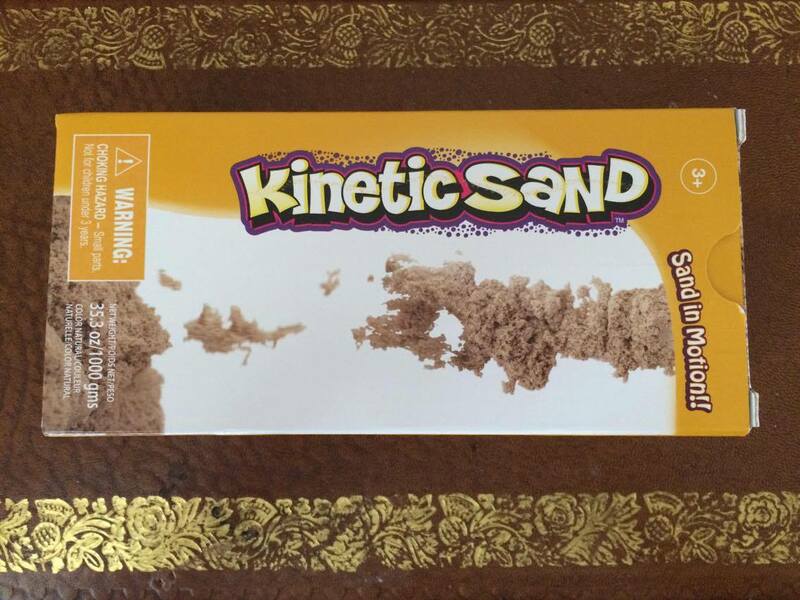 Little A finally, finally got some Kinetic Sand. This stuff is so easy to use and we've all had great fun playing with it. 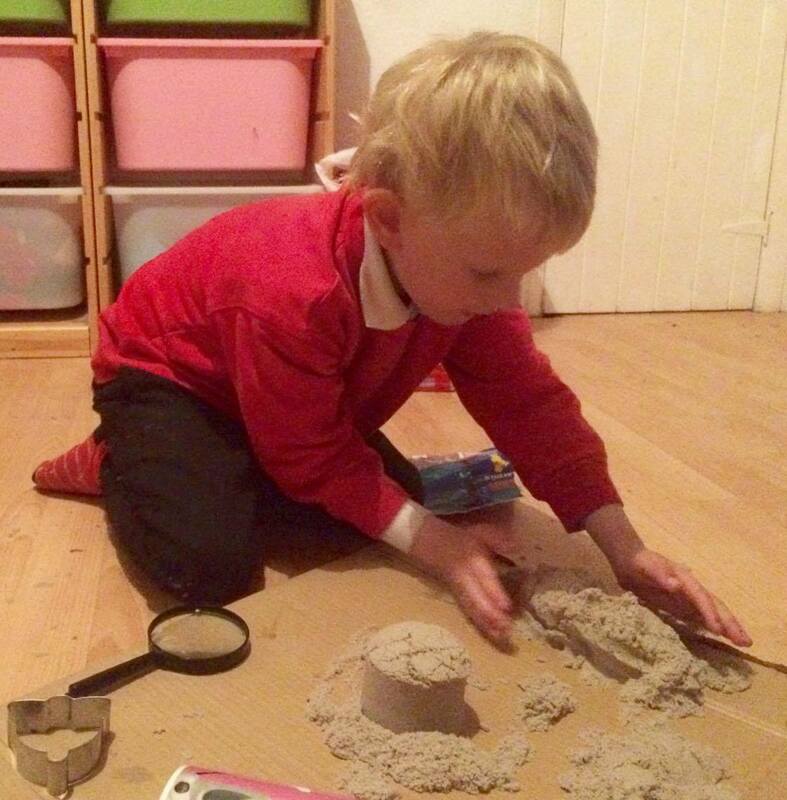 For a child with sensory processing difficulties Little A has found this great because it isn't messy, it isn't sticky and doesn't leave him dirty. I love the feel of this stuff and will have to add to his collection now, so much cooler than normal sand! 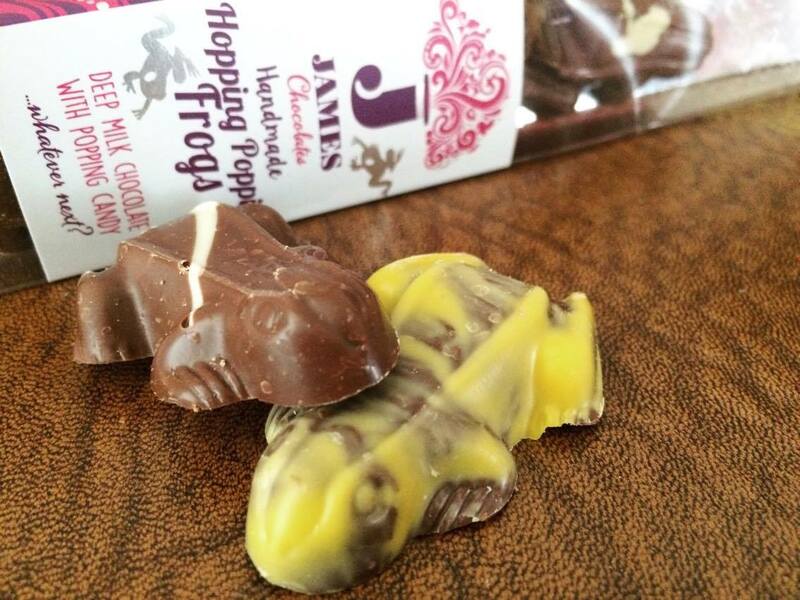 They also had some rather delicious (so I'm told) popping candy chocolate frogs which looked really tasty. They didn't last long so they were obviously a winner too. Overall I have to say our Wicked Uncle experience has been fab and my sister definitely passed the Wicked Auntie test too! Thanks Wicked Uncle for giving us £40 to spend on your site and try out your challenge, it was great fun and will be a really handy site for a rather big upcoming special occasion! Have you used Wicked Uncle? What do you think? Do you think it would help you or someone you know, like my sister who doesn't have children of her own, to pick an awesome gift without constantly checking it'll be okay first? Let me know!